ISNIA stands for the collaborative team of Agus Ismoyo and Nia Fliam, renowned for their intricate, nuanced and time-intensive textiles. 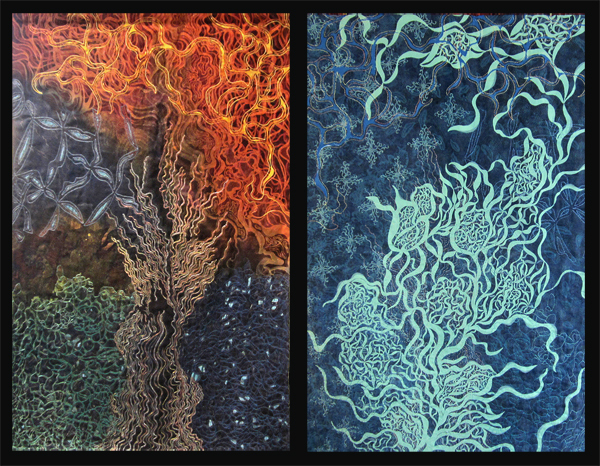 They are widely acknowledged as the first artists in Indonesia to go beyond the boundaries of modern batik painting and extensively explore the medium of Javanese batik as contemporary textile art. Ismoyo’s ancestors produced batik for the royal court of Surakarta in Central Java; Fliam was born in the United States and studied at the Pratt Institute, New York, traveling to Indonesia in 1983 to study batik, where she has lived since. 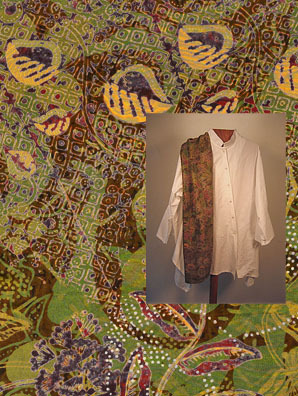 In 1985 they established the batik studio Brahma Tirta Sari (“Creativity is the source of all knowledge”) in Yogyakarta, Indonesia. 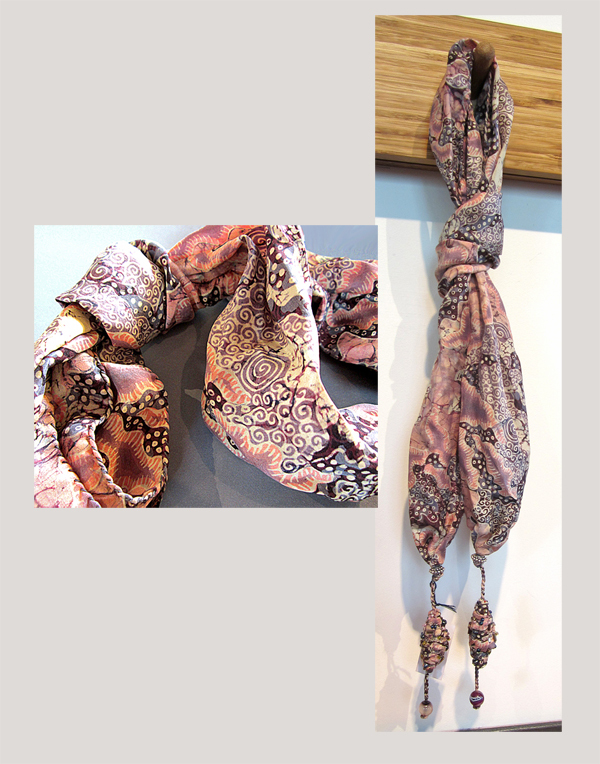 Hand-batiked silk scarf, shawl or wrap. Blue and gold with bronze highlights; geometric and kawung motifs. Dimensions: 22” x 68”. [55x175 XAI-A1 xx354] We have many beautiful Isnia scarves in the gallery, in a wide variety of motifs and colors, available for immediate shipment. Please contact us with queries. 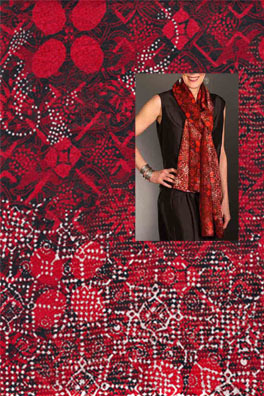 Hand-batiked silk scarf, shawl or wrap. Hand-woven silk. 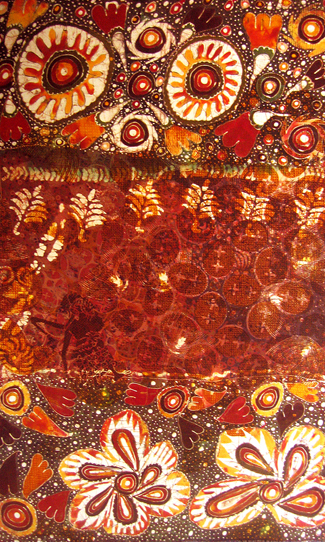 Red, with flecks of white, geometric and kawung motifs. 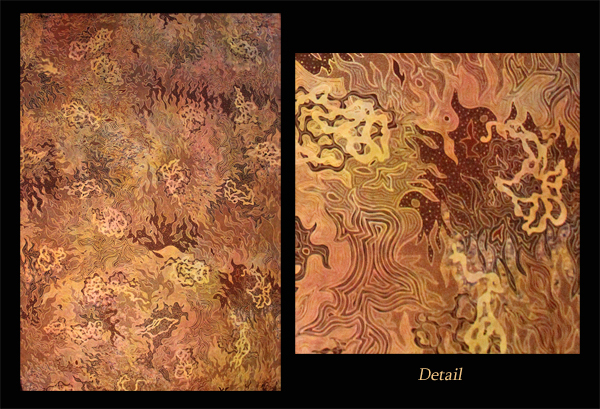 Dimensions: 22" x 75". (IS-41-B) We have many beautiful Isnia scarves in the Gallery in a wide variety of motifs and colors, available for immediate shipment. Please contact us with queries. 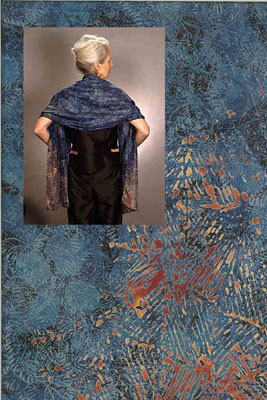 Hand-batiked silk scarf. Floral motif with mauve-violet highlights. Dimensions: 15" x 58". [7-05.6] We have many beautiful Isnia scarves in the gallery, in a wide variety of motifs and colors, available for immediate shipment. Please contact us with queries. 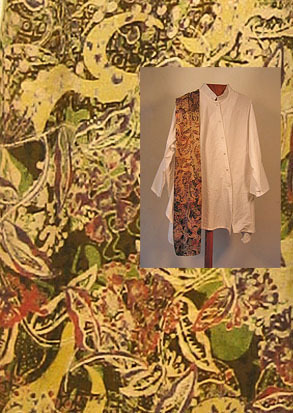 Hand-batiked silk scarf. Floral motif with mauve-violet-gold highlights. 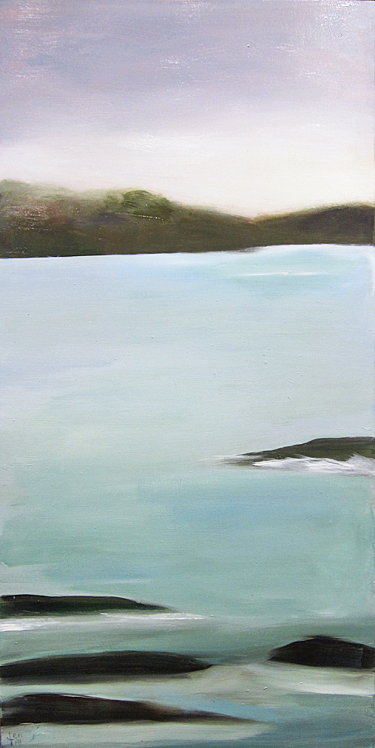 Dimensions: 13" x 68". [40x170 xef9a xxp16] We have many beautiful Isnia scarves in the gallery, in a wide variety of motifs and colors, available for immediate shipment. Please contact us with queries. 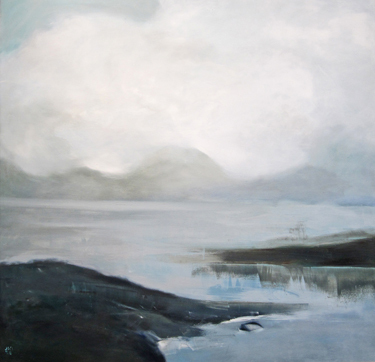 Elements , 2010. 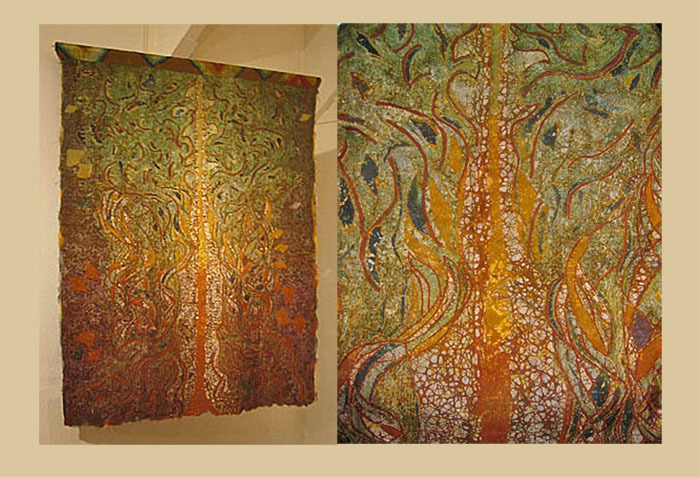 Batik on silk reverse applique wallhanging. Collaboration: Agus Ismoyo and Nia Fliam. Both sides are shown in the photograph. Dimensions: 80 x 75 cm. From Isnia's Red Lotus jewelry line, we have recently acquired a number of their textile jewelry pieces, including this lovely silk batik beaded mini-scarf. Weightless and beautiful, just like all of Isnia's items. Dimensions: 48" long. 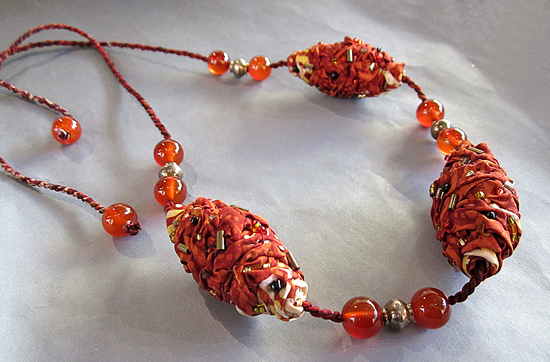 Silk batik necklace from the studios of incomparable batik artists Isnia. Please contact the gallery for further information.